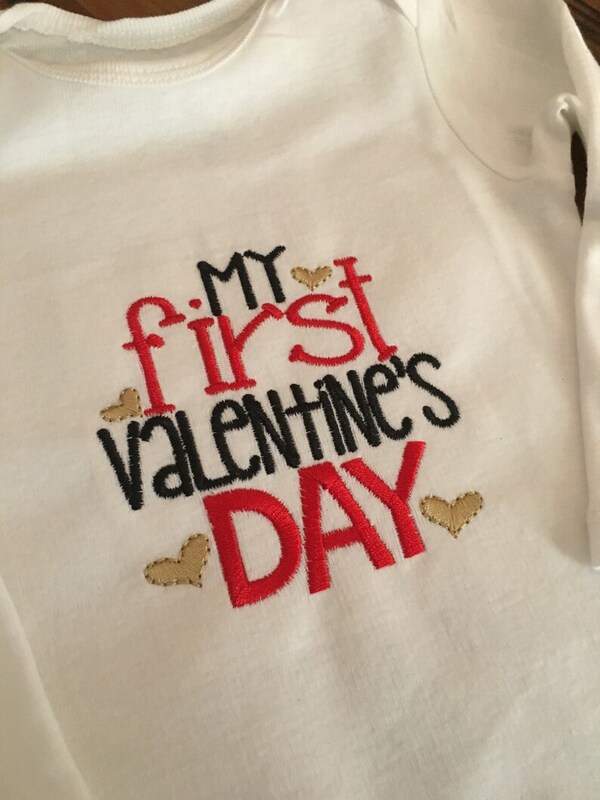 Super Cute Long Sleeve My First Valentine's Day Bodysuit. This is the boy version, made with Red, Black, and a creamy gold thread. Looking for something different? Feel free to contact us, we are happy to make this to your liking! Precious! Well made! Great turn around time! I love this shirt so much. It’s perfect!!! Love my t-shirt! Will order again very soon!!! It got to me when I needed it too! Thank you!